Latest Dansbags Bags and totes for sale online in a variety of styles. 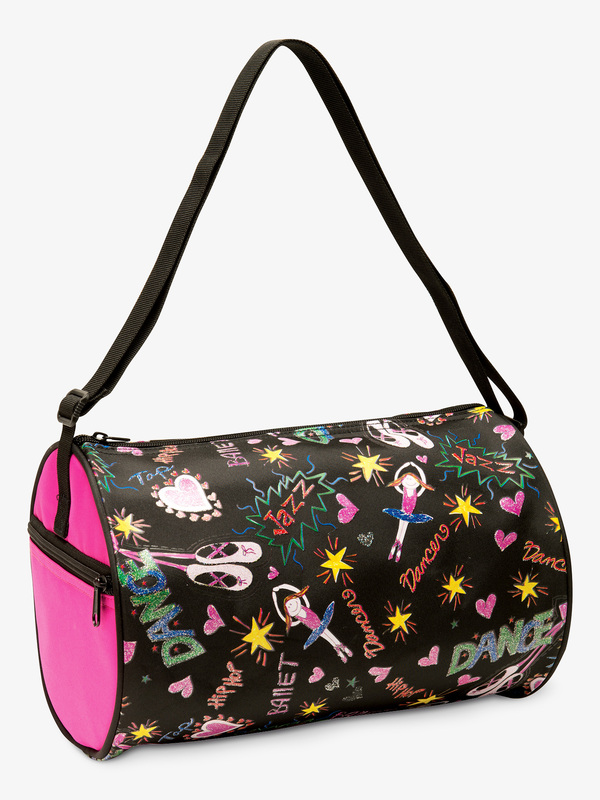 DansBagz Little Dancers Doodle Dance Bag B443: A perfect accessory for your little dancer! 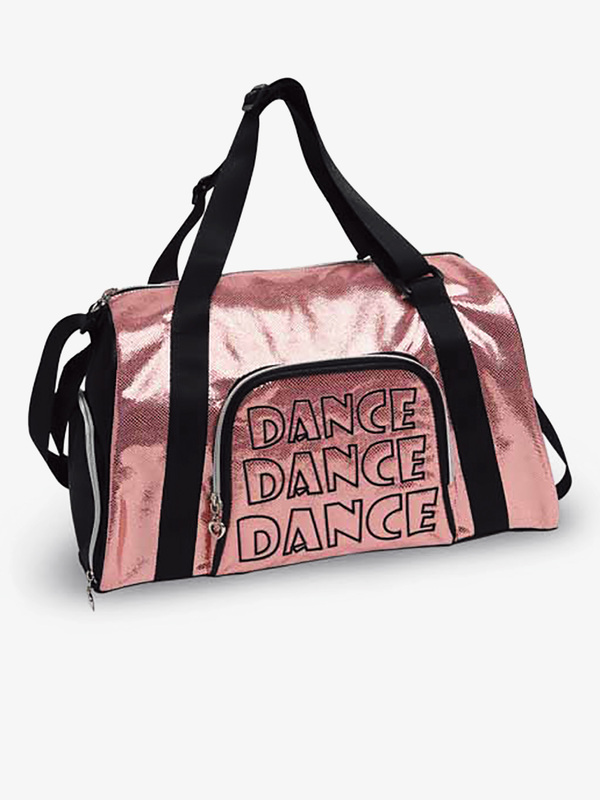 The Little Dancers Doodle Duffle bag features a colorful dance inspired screen print, glitter highlights, a side zippered pocket, and an adjustable shoulder strap. Bag is fully lined. Perfect for toting shoes and other dance accessories!Size: 11.75-inch x 7.75. 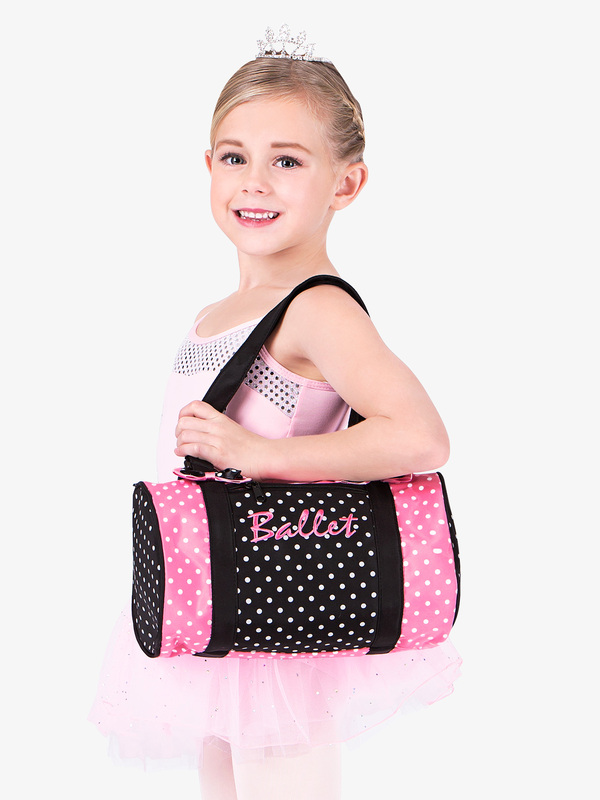 DansBagz Dancin' Dots Ballet Duffle Bag B560: Adorable dance tote with Ballet-inch embroidered on the front pocket features two double satin bows, contrasting pink dot trim, magnetic snap closure, fully lined interior, and an inside zipper pocket.Size: 11.5-inch x 7. 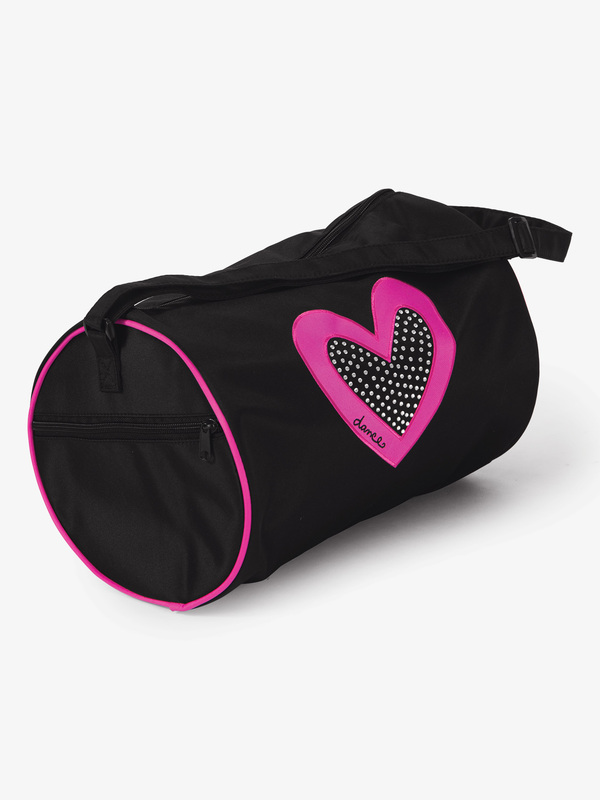 DansBagz Rhinestone Heart Duffle Bag B580: Bag features a large compartment for all your gear with rhinestone heart and dance applique. Includes two handles for easy carrying with silver hardware and water repellent inner lining.Size: 13-inch x 8-inch x 8. 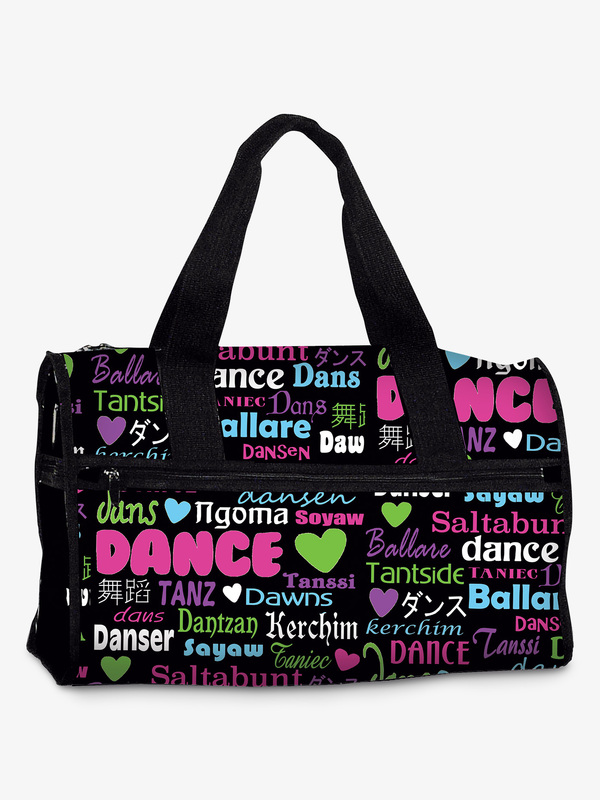 DansBagz Dance International Duffle Dance Bag B430: Dance International Duffle features a colorful dance print, front full length zippered pocket, and a side zippered pocket. Bag is fully lined.Size: 19-inch x 12-inch x 8.5. 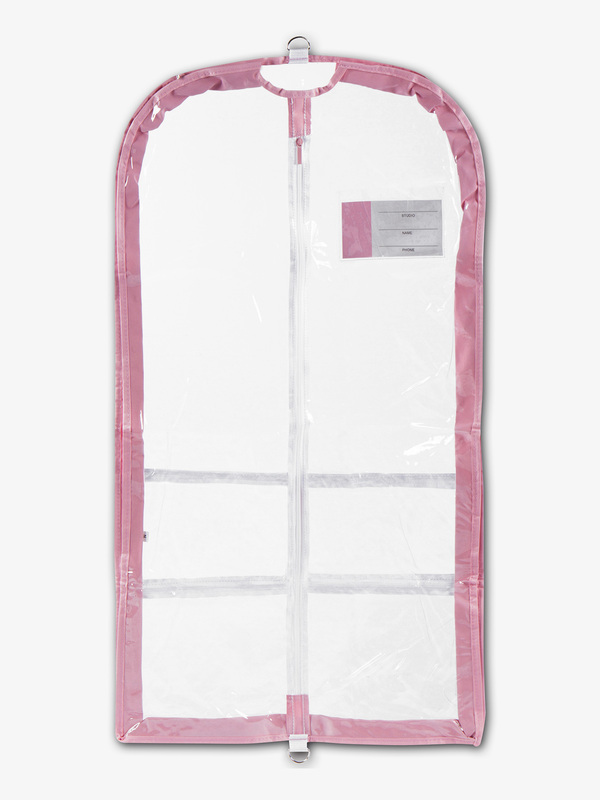 DansBagz Dance Garment Bag B905: For the dancer on the go! Features include a hanger ring, Dance-inch screenprint accents, a full length zipper closure, an I.D. pocket and nylon web handles. Folds and snaps to half length to make traveling a breeze!Size: 24-inch x 42.5. DansBagz Tutu Bag B609: Keeps your tutu like new. 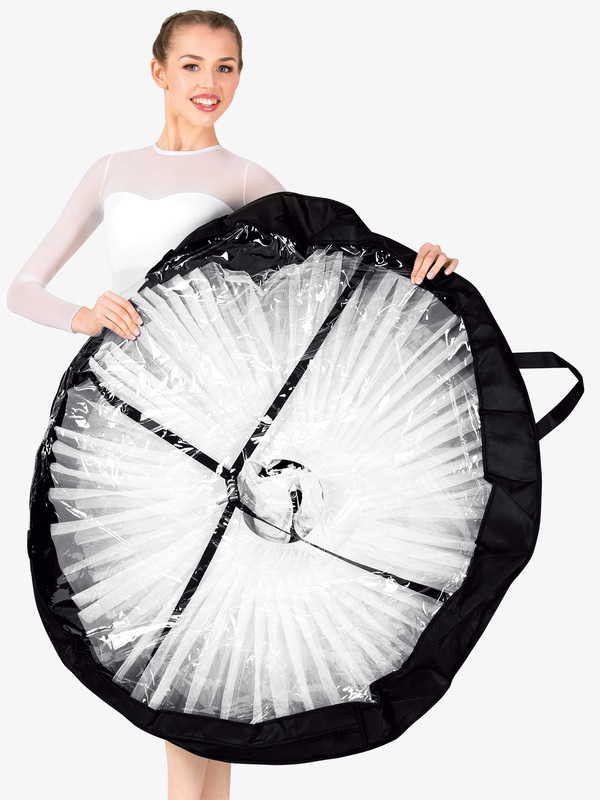 Bag features a large expandable pocket that fits three professional tutus, a clear Peekaboo PU back, and inside elastic cross strap with snap that hold your tutus in place. Includes two handles for easy carrying. Lightweight and can be folded for easy storage.Size: 43.5-inch x 43.5-inch x 5. 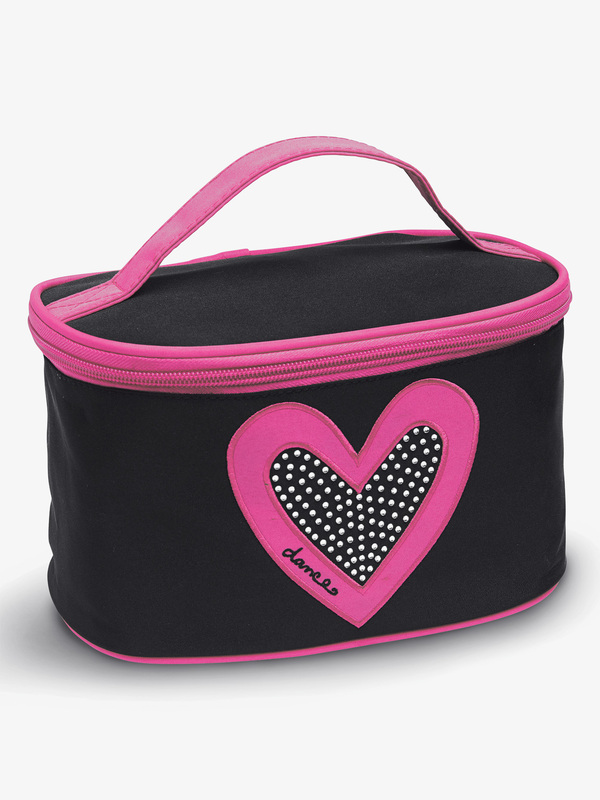 DansBagz I Heart Makeup Case B472BKHP: Make-up case with Pink heart and rhinestone. A perfect size compartment to keep all your accessories in one place. Includes a water repellent inner lining. Fold at for easy storage.Size: 8.5-inch x 5. 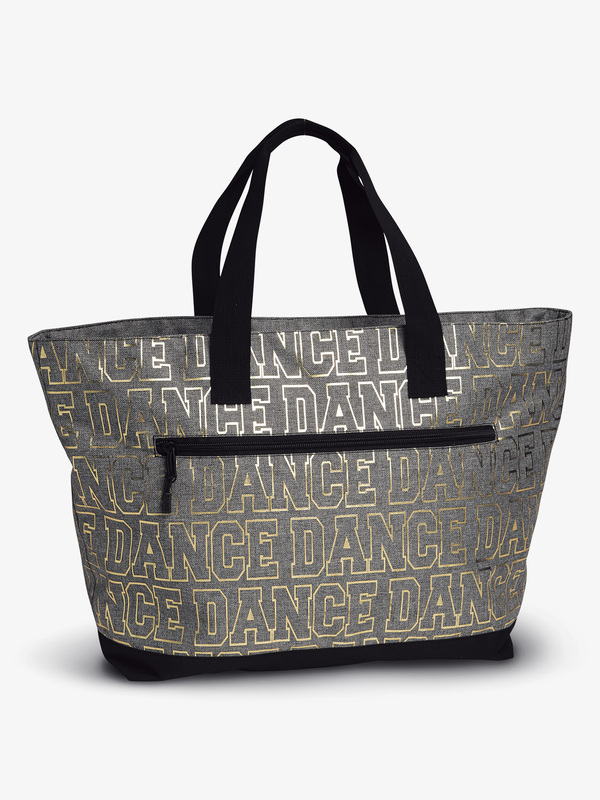 DansBagz My Big Dance Tote B459: Oversized, trendy dance tote features a zippered main compartment with a large outside zipper pocket and gold foil DANCE-inch screened on front. 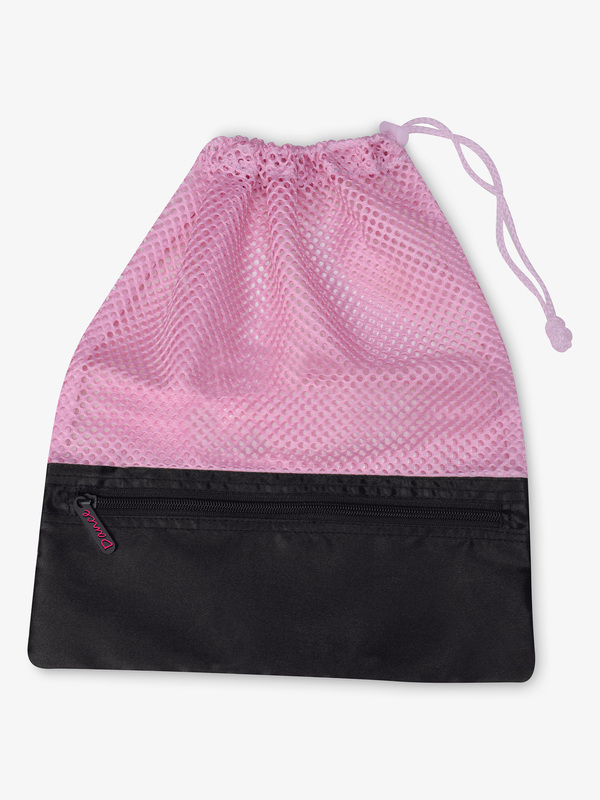 Includes 2 handles for easy carrying and water repellent inner lining. Also available in duffle size.Size: 21-inch x 10-inch x 10. 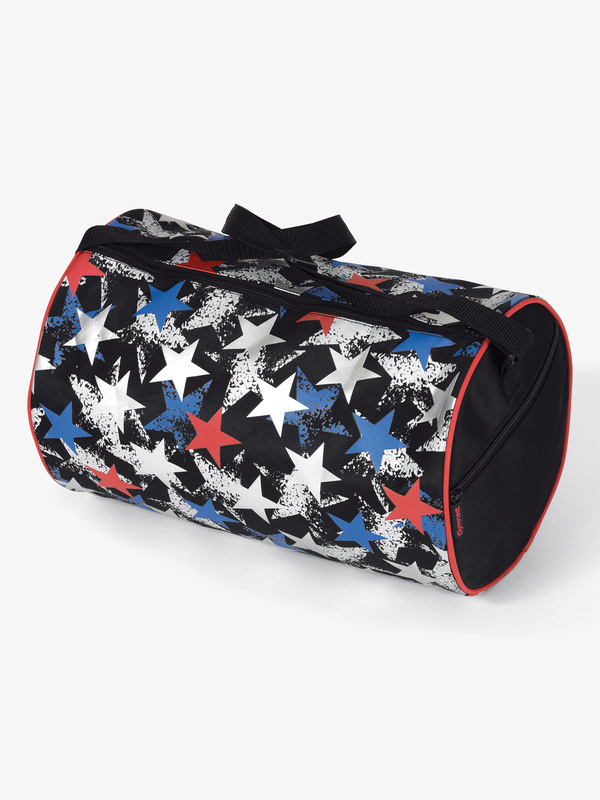 DansBagz Shining Star Duffle Bag B724: Red, white and blue metallic stars adorn this patriotic bag, with additional features of a side zipper pocket, adjustable shoulder strap, and water repellent inner lining.Size: 14-inch x 9. 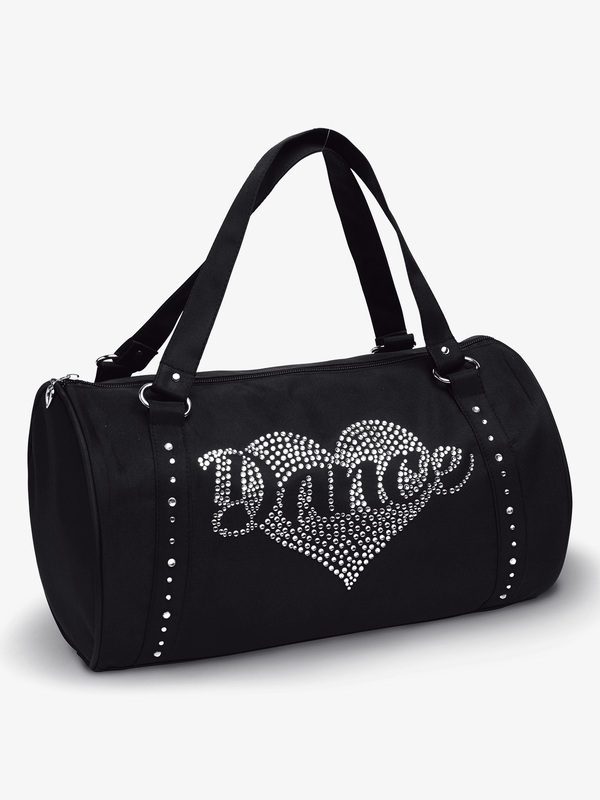 DansBagz Bling It Dance Tote Bag B446: Rock some serious sparkle in this embellished tote bag. Tote bag features a tricolor DANCE-inch front stone design, a large main compartment with 4 inner stretch pockets for accessory storage, a front zipper pocket, two outer side stretch pockets, a back zippered mesh shoe pocket, and includes an adjustable shoulder strap and water repellent inner lining.Size: 15-inch x 11-inch x 9. DansBagz L.O.R. 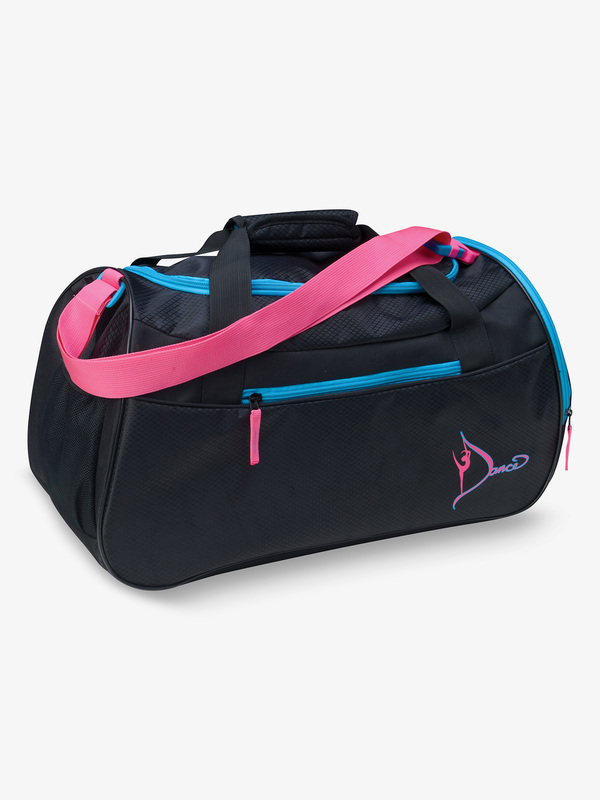 Duffle Bag B593: Show your love for dance in this subtly chic duffle bag. Bag features 5 pockets to keep your things organized, 3 outside pockets with shoe pocket and 2 inside mesh pockets, a unique textured material with gold zipper accents, an adjustable shoulder strap, and water repellent inner lining.Size: 16.5-inch x 9-inch x 10. 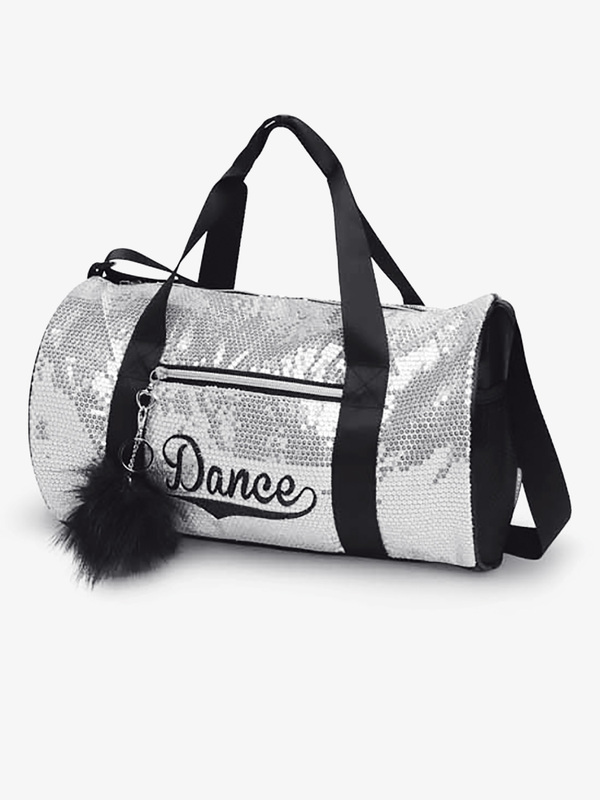 DansBagz Sequin Dance Duffle Bag B452: Steal the spotlight with a bag that's both beautiful and practical. 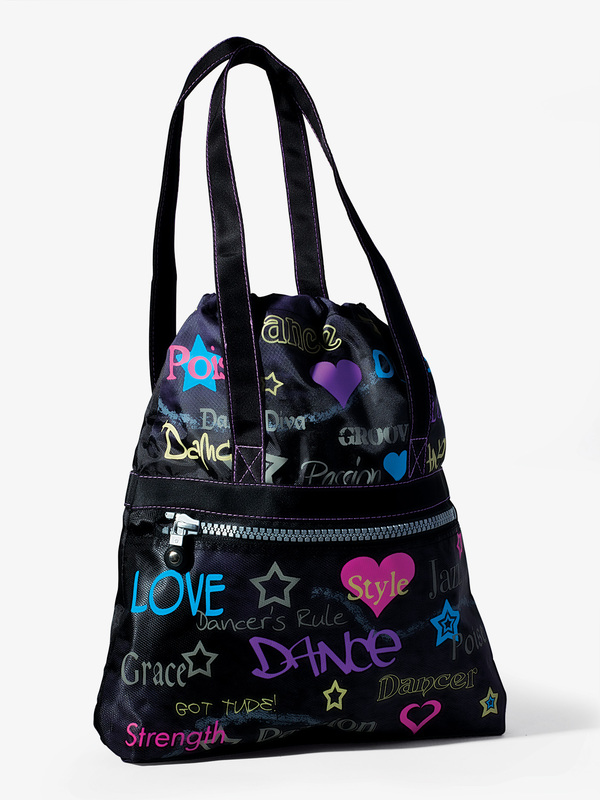 Bag has 2 outside pockets, including 1 front zipper and 1 side mesh pocket with Dance-inch embroidered on front. Heart zipper pulls with pompom key chain. 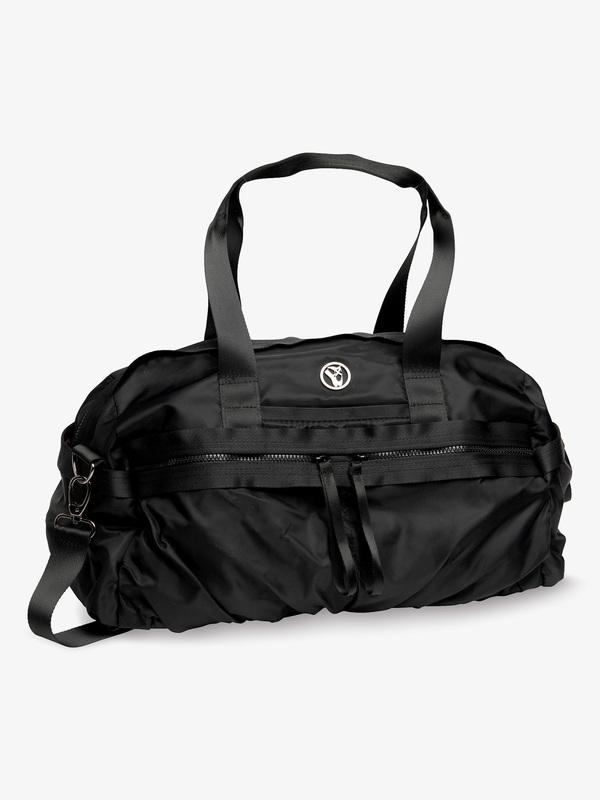 Includes an adjustable shoulder strap and water repellent inner lining.Size: 13.5-inch x 8. 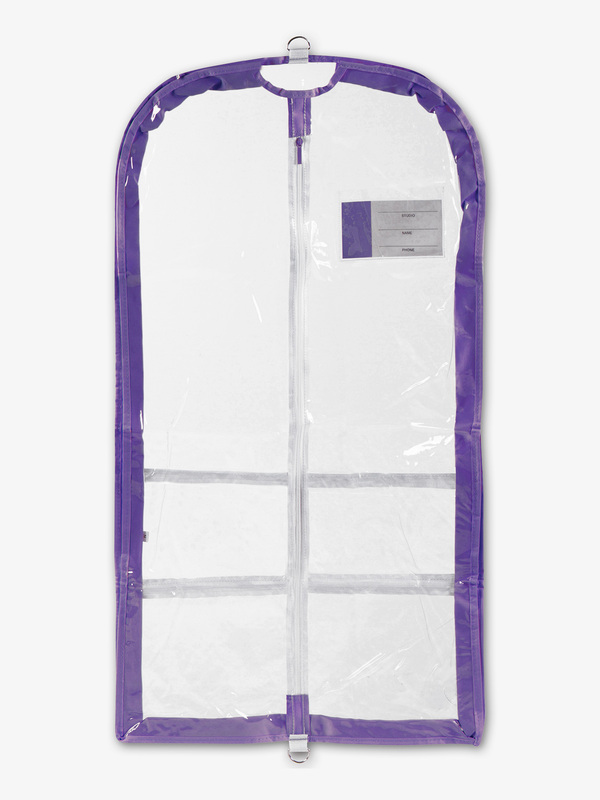 DansBagz Privacy Pocket Competition Garment Bag B597BLK: Sturdy pliable PVC garment bag trimmed in black fabric. Features include a three inch expandable gusset that accommodates bulky costumes or multiple small garments, as well as three outer pockets, one large and two small for shoes and accessory items.Size: 37-inch x 20-inch x 3. 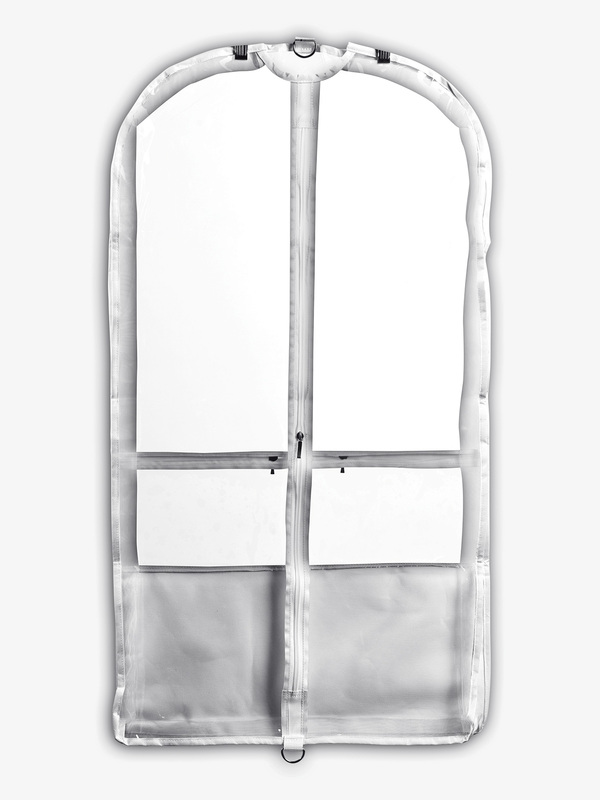 DansBagz Privacy Pocket Competition Garment Bag B598WHT: Sturdy pliable PVC garment bag trimmed in white fabric. Features include a three inch expandable gusset that accommodates bulky costumes or multiple small garments, as well as three outer pockets, one large and two small for shoes and accessory items.Size: 37-inch x 20-inch x 3. 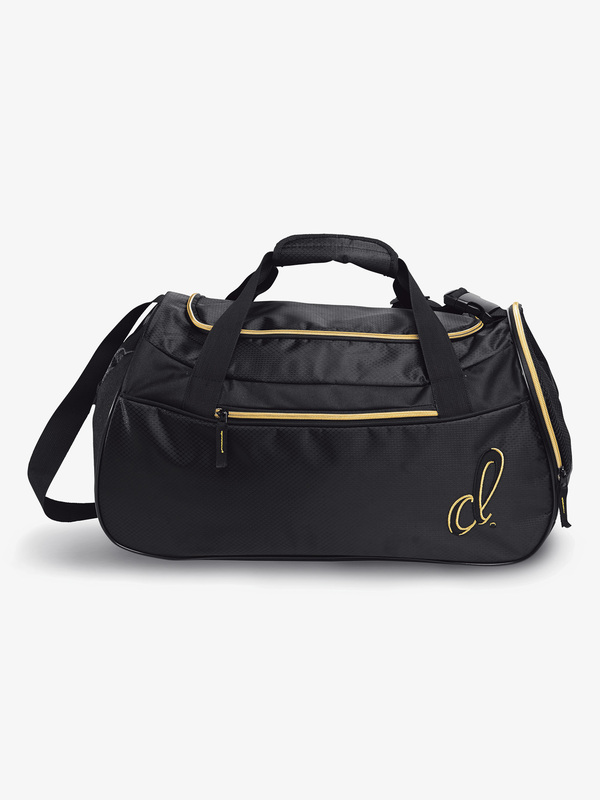 DansBagz Chasse Principal Duffle Bag BPC04: This classic, heavyweight microfiber duffle bag features a removable and adjustable padded shoulder strap, two front and side exterior zippered pockets, a hidden front pocket, and a full width rear zippered pocket. The interior of the bag and pockets are all custom lined. 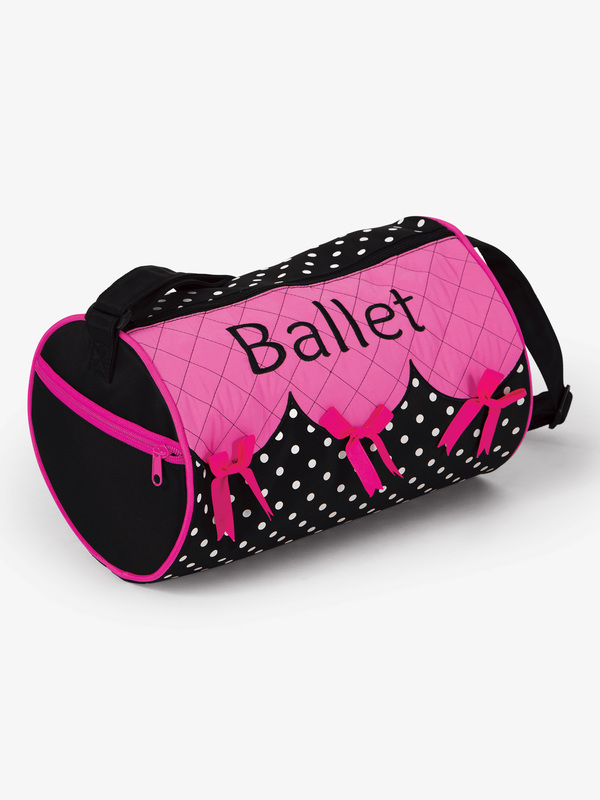 Perfect for holding pointe shoes, water bottles and all other dance class essentials! Size: 16.5 x 9 x 13. 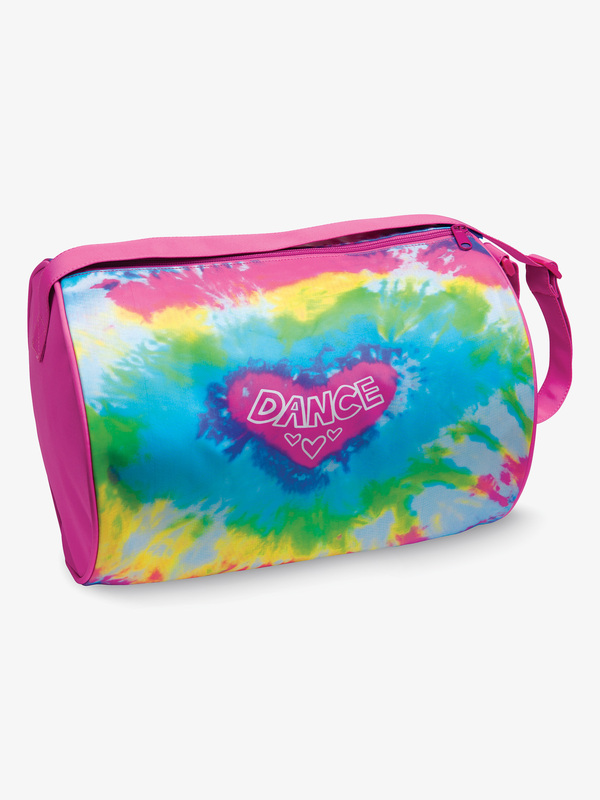 DansBagz Girls Love Tie Dye Duffle Bag B555: This colorful dance bag features a rainbow tie dye screen print, a side zipper pocket, and an adjustable shoulder strap. Bag is fully lined. 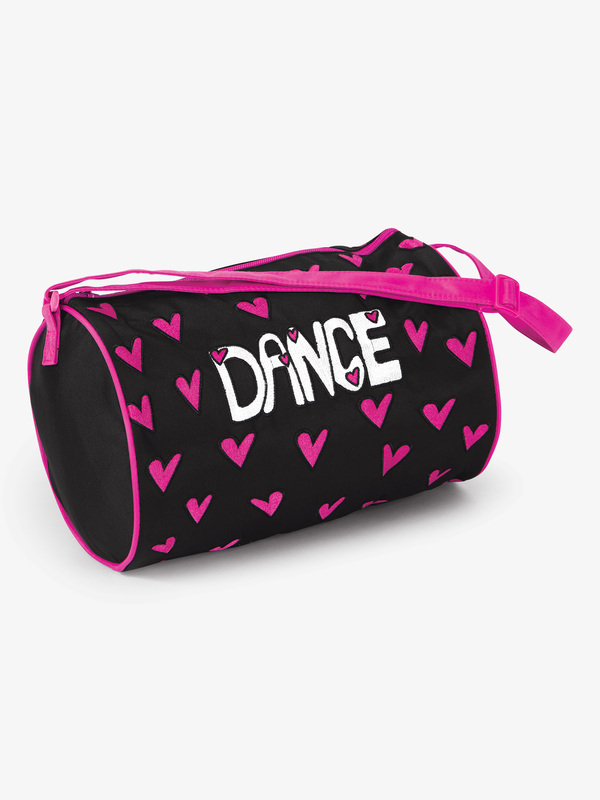 Great for keeping your dance necessities in one place! Size: 13-inch x 8. 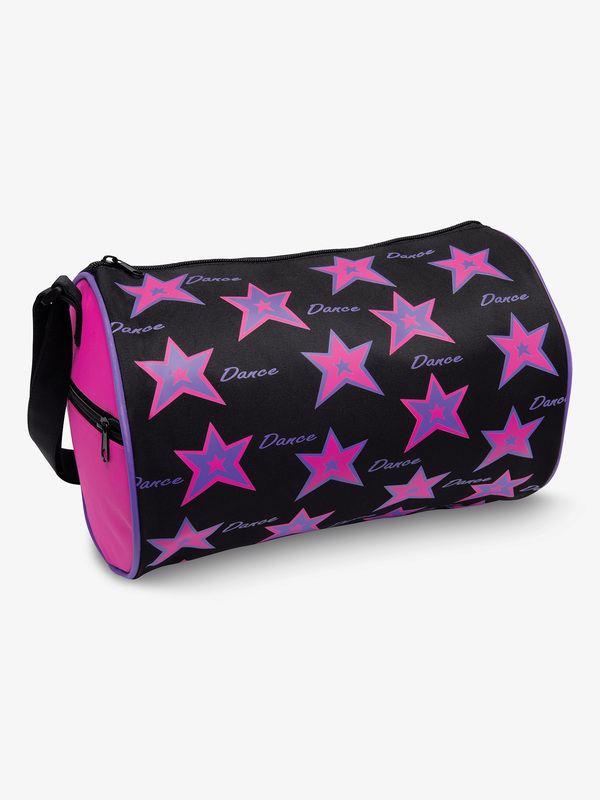 DansBagz Star Dance Duffel Bag B970: This dazzling star-printed duffle bag features an adjustable shoulder strap, zipper opening, side zipper pocket, allover colorful screen print star and Dance-inch design, and full lining.Size: 12-inch x 8. 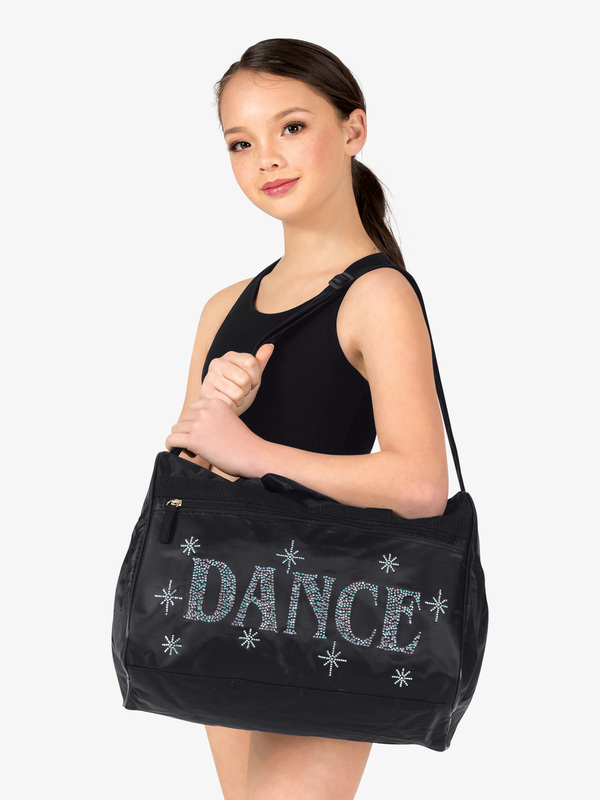 DansBagz Dance Attitude Tote B520: Versatile and funky, this nylon tote features a dance themed screen print with PU finish, drawstring closure, and stitched nylon shoulder straps.Size: 13-inch x 15. Many more at Dansbagz Online Store.